I used to be strangely scared at the idea of making jeans. Then I made a pair, and I realised that there really is nothing to fear. 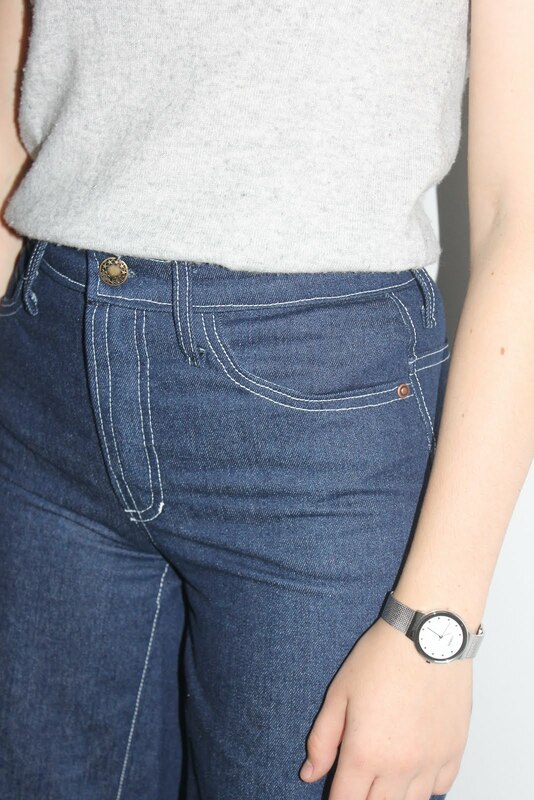 Now, I really enjoy making jeans! 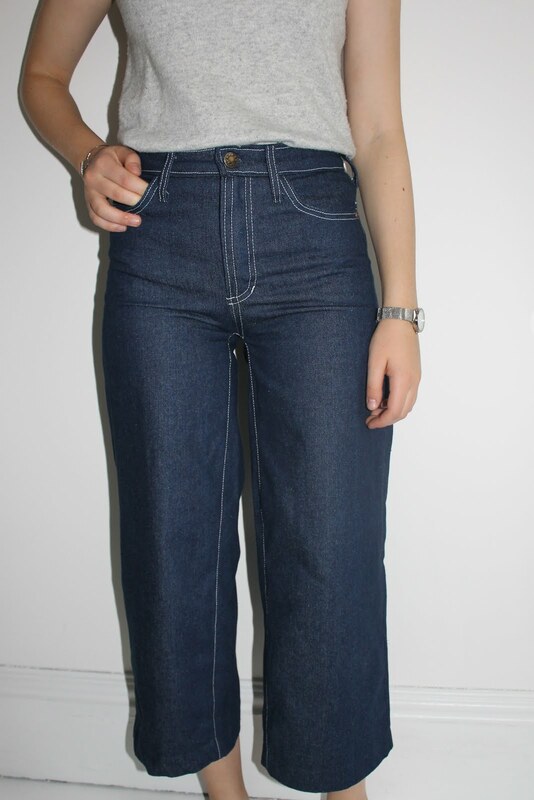 I have just finished making my second pair of jeans and I know that even more pairs will follow. 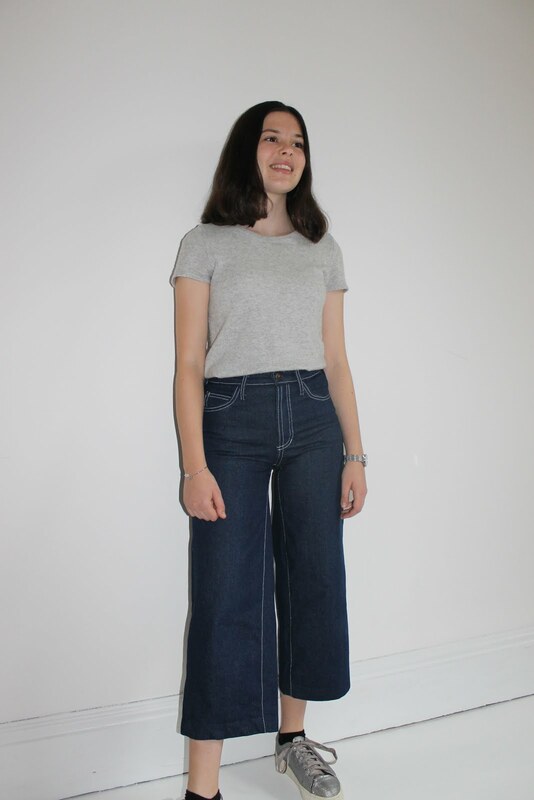 I've wanted to make a pair of wide-legged jeans for a while, pretty much ever since the Megan Nielsen Ash Jeans pattern came out with that variation. 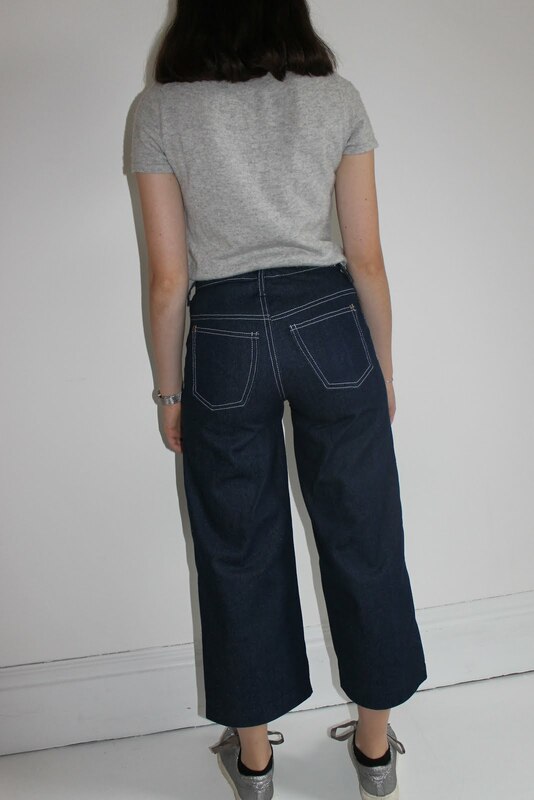 However, I try to avoid buying a new pattern whenever I can, so I decided to try and hack the Closet Case Ginger Jeans pattern that I already own. This heavy weight denim from Minerva Crafts seemed like the perfect opportunity to give the jeans a go; I still can't believe that what I had in my mind actually succeeded! I'm so glad you mentioned your top stitching thread color because as soon as I saw these jeans, I wanted to know what color you used! These look so cute on you and you did a fantastic job with them. 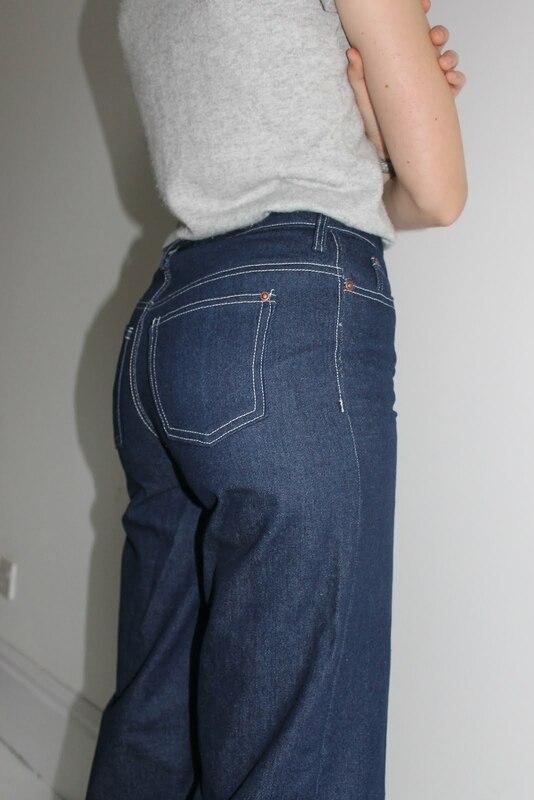 I love sewing jeans; I have made so many pairs now. Once you get the fit adjustments made to your pattern, it's wonderful to make jeans whenever you find new material to try. I have found that now I make jeans, I don't even want to buy them anymore because my own fit so much better. I remember trying on several pairs in the stores till I found the right fit, so it only makes since that one would have to tweak their fit to get it perfect when you make your own. I have the Ginger jean pattern, but I haven't had time to try it out yet. I have two other successful patterns, but seeing what others have made pushed me over the edge to buy yet another jeans pattern. These are fabulous! The silver top-stitching looks brilliant and the fit is superb. You should feel mighty proud of yourself!